Vibrant fruit flavors and concentrated aromas are the hallmarks of such delightfully sweet wines as Muscat Canelli, Malvasia, and Chenin Blanc. 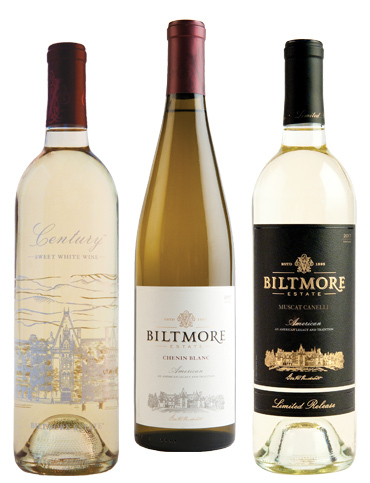 Four times a year, you will receive three bottles of wine (12 bottles per year) hand-selected by our winemakers, plus tasting notes, and a unique recipe from Biltmore chefs. Wines are shipped directly to your door, or you can opt for estate pickup. Sweet Wine Club ships seasonally in winter, spring, summer, and fall. Shipments range from $35 - $65 (plus applicable shipping and tax), which reflects a 20% savings vs. retail pricing. A Vanderbilt Wine Club membership is a thoughtful, welcome year-long gift – simply select “Create a Gift Membership” after initiating the joining process.